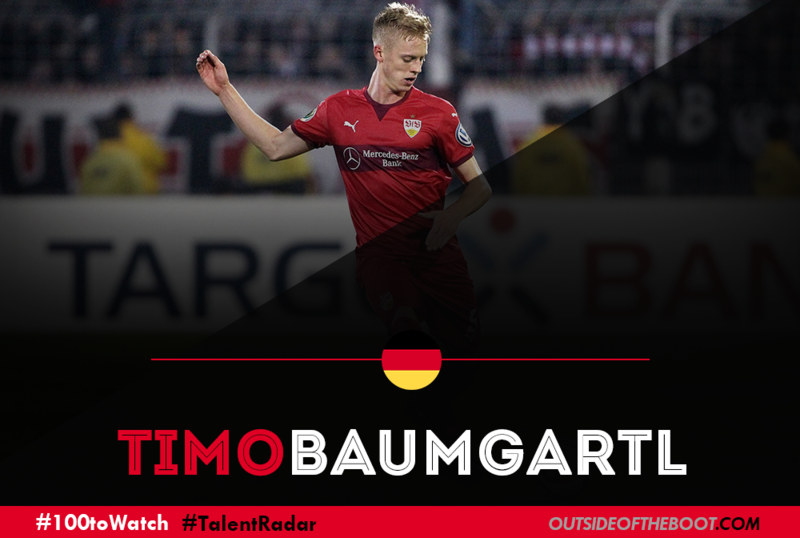 Blurb: Timo Baumgartl is a young German centre back who currently plays for VfB Stuttgart, and has done so since arriving at the club’s academy in 2011. The defender has been hailed as one of the most exciting prospects to come out of Die Roten’s youth system in recent years. Throughout his career at the German side, the German international has been impressive enough to represent his country from U15 to U21 level. Baumgartl has also expressed his desire to remain at VfB Stuttgart for years to come, renewing his contract in January 2015 and once again in August 2015. 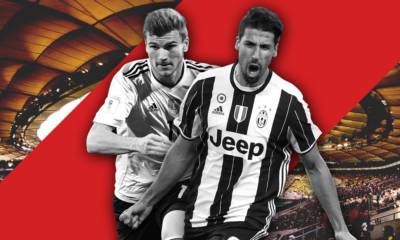 Analysis: Since being introduced to the Stuttgart first team just over a year ago, the German defender has grown to play a pivotal role in the side. Although still somewhat inexperienced, the centre back continues to evolve on the pitch and is now one of the first names on the teamsheet for his side. During his playing time, he has grown to improve on some of his liabilities such as control of the ball and overall passing ability. Standing at 6 feet, 2½ inches, Timo Baumgartl is undoubtedly a player who will always have a strong presence in the air. 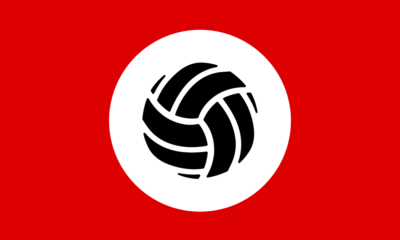 Although having a weaker physique, the German defender is able to pose a threat in the air whether he is attacking or defending against the opposition. Whilst a significant height links to a lack of speed as an overall player, it doesn’t apply to the cause of Baumgartl considering his average pace overall. Looking Ahead: For the near future, it’s safe to say that the young defender will remain loyal to VfB Stuttgart given the contract extensions he signed last year. With Die Roten looking to reclaim their spot in the Bundesliga, players like Baumgartl will be as crucial as ever given his importance to the first team; benefitting him too as he increases his experiences. This is evident given his first call-up to the U21 German team this year. With the defender building up his overall experience whilst improving on the pitch, he could become one of the best in his position. Blurb: The 19-year-old Croatian plies his trade for Dinamo Zagreb and operates as a defender for the club. Bekovic stated out his career as part of the Dinamo Zagreb Academy before making his league debut in July 2015. Almost one and a half years have passed since and Benkovic has made enough appearances for the side to show real signs of promise. Having accumulated sixteen appearances in the league (at the time of writing), and five in the Champions League, one can see that the young defender has a lot of reason to be upbeat about his future. Analysis: Benkovic is certainly one of the few well-rounded central defenders out there at his age, which speaks a great deal about his skills. At 6 feet and 4 inches, the Croatian is physically imposing and his tall stature allows him a real command in the air in defence as well as in attack with his set-pieces. What adds to his game is that he also possesses good speed. 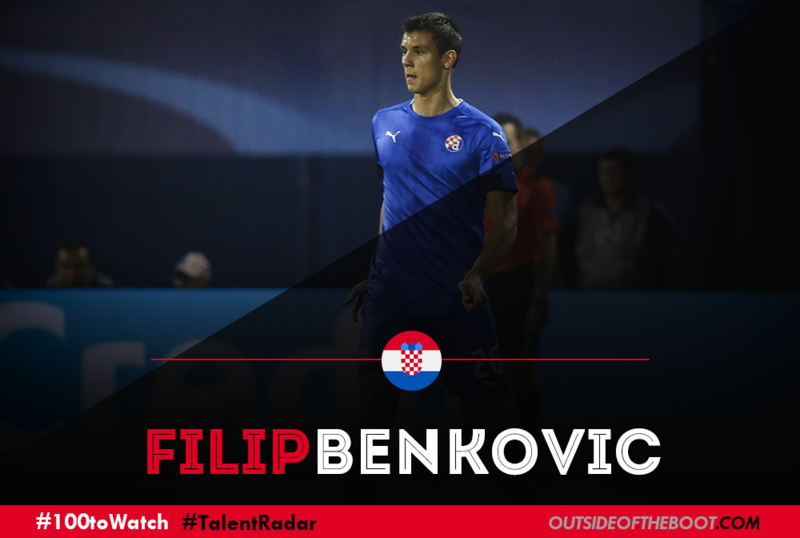 With his good acceleration, ability to win back possession and intercept the ball, Benkovic can play out of the backline and move forward, linking the game well with the midfielders, ensuring momentum is always present with his side. He has a good sense of positional awareness and is proficient in marking. He can read the game well and he can intercept the ball well. 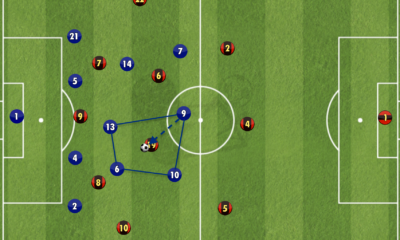 Distribution of the ball is one part of the centre-back’s game which still needs to be developed and at 19, there are bound to be a few shortcomings. However, what makes Bekovic stand out is that his overall game has very few obvious or drastic snags. Looking Ahead: Considering how solid he has been this season too, there is no doubt more interest in the youngster will continue to grow. As with any young player, it would be ideal if Benkovic chooses his next move wisely because game-time is all that matters eventually. To be at a big club, but not getting to play regularly would only hinder his development. 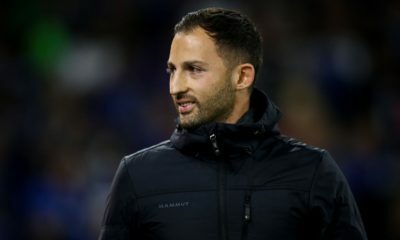 He echoed these sentiments when he said that he would like to gain some more experience before leaving Dinamo and is “in no hurry to leave the club”. However, considering the President of the club is the all-powerful and controversial Zdravko Mamic, it is probable that the talented starlet will earn himself a high-profile move in the coming years. 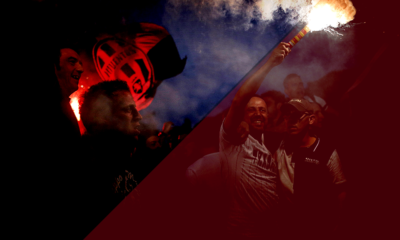 Blurb: In amongst Milan’s pursuit of European glory once more, they’ve established a core of talented young players – most of which have been gradually settling into life in the Serie A over the past season or two. Davide Calabria, is one such player and the club’s heir to Ignazio Abate’s throne at right-back. Analysis: Calabria is one of Milan’s most promising youngsters, and alongside the company of Donnarumma and Locatelli, that’s no mean feat. Given his youthful exuberance, it’s no surprise that he remains raw in some aspects such as discipline and crossing but he has shown tenacity in tackles and fearlessness to perform when called upon: an admirable asset that managers relish with youngsters. The Brescia-born 20-year-old hasn’t looked out of place when picked to play, which will give him confidence and much-needed minutes at a competitive level. His work-rate and defensive awareness out of possession are just two positives that have already made him a favourite with the San Siro faithful, whilst it’s evident to see from interviews that he’s intelligent and mature for his age: which will only help improve his rate of development as he looks to act upon the weaknesses in his game. Looking Ahead: Abate himself, who joined Milan in the summer of 2009, has recently turned 30. 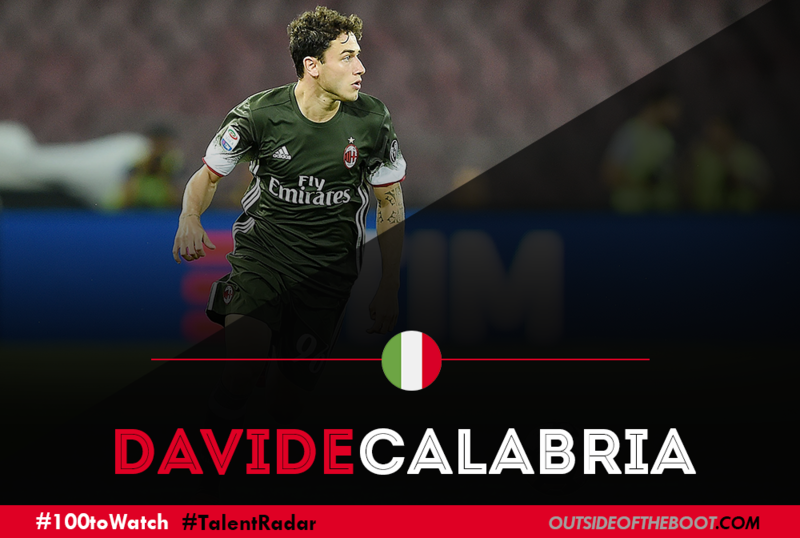 He’ll subconsciously know that a drop in form will merit a regular berth for Calabria, who has proven his ability with the opportunities he has been given recently. With that being said, the fresh-faced fullback needs to remain patient for his chance to play with more regularity once fully fit, as consistent performances are key to ensuring he remains in the side and Vincenzo Montella will be eager not to disrupt the balance of his team. 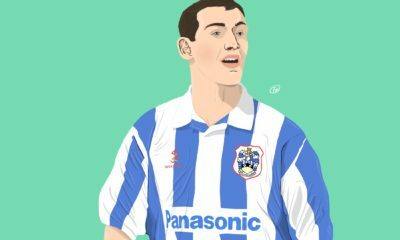 Blurb: Born in Sibenik, Croatia Caleta-Car came through the ranks of his hometown club HNK Sibenik but played only a handful of games there. He moved to FC Pasching and then to FC Liefering who were a part of the Red Bull system. This paved his way into Red Bull Salzburg in 2014 and ever since he has been progressing steadily there. He signed a deal that runs up to 2020, and has established himself as a first team regular at the club. Analysis: Caleta-Car is 6 feet 2 inches tall and is a towering presence in central defense. He is the figure of composure in the heart of defense as he does not buckle under pressure. 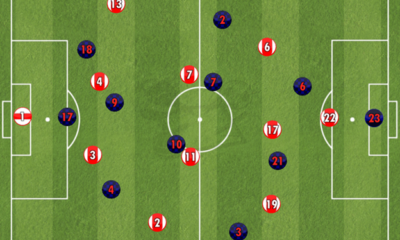 Being a high pressing team, Salzburg leave the two central defenders at the back. This responsibility is handled more than well by Caleta-Car. He is excellent in the air and wins almost all the aerial duels he contests. A true defender of the modern era, he is a remarkably good ball player and helps his team build from the back. He does not hack the ball clear to avert danger and rather calmly chooses the best passing option to play the ball to. When trying to initiate a counter, Caleta-Car is more than capable of picking out a teammate in the wings with his excellent passing range. His aerial prowess also makes him a threat in attacking set pieces while he is an able deputy while defending them. Another striking feature of his play is that he is a proactive defender. He is more of a stopper than a cover and this is highlighted by the five interceptions he averages in a match rather than the one successful tackle he makes. This feature of his play is supplemented by his excellent reading of the game. He is an aggressive defender who will always be onto the opposition forwards and his physique makes him a formidable opponent for any striker. Looking Ahead: Caleta-Car is wise beyond his years and must know how to stay grounded in such circumstances. This has not affected his performances much but a move away from the club to greener pastures may tempt the youngster. 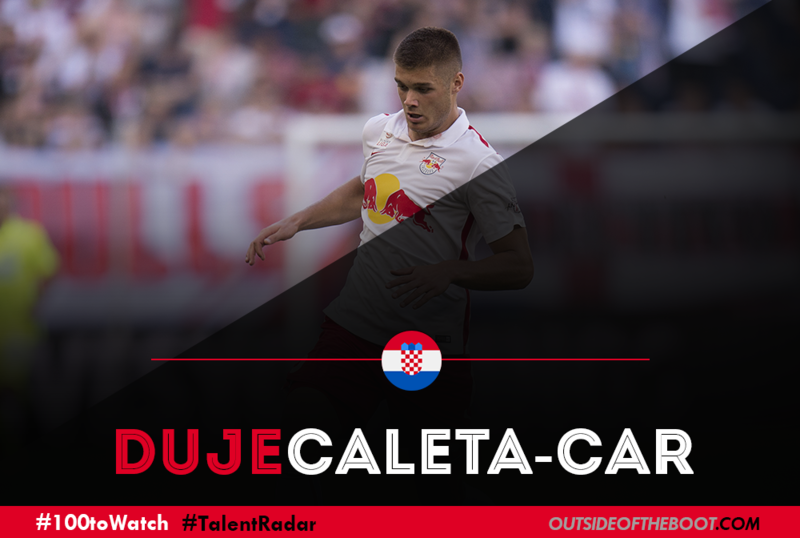 Croatia are well stocked in the central defense department with Caleta-Car having represented his national side at all levels of the youth system and also had a call up to the senior squad last year. Though he is yet to make his debut for the national team, it is only a matter of time before he can replace Vedran Corluka or Domagoj Vida in the starting eleven. 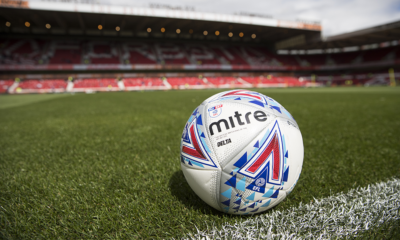 Blurb: The Milton Keynes born left back started his career at Leicester’s academy and won the Academy Player of the Year at the end of the 2014-15 season. Were it not for Christian Fuchs, Chilwell would have managed to break out in the starting eleven of Claudio Ranieri’s team. 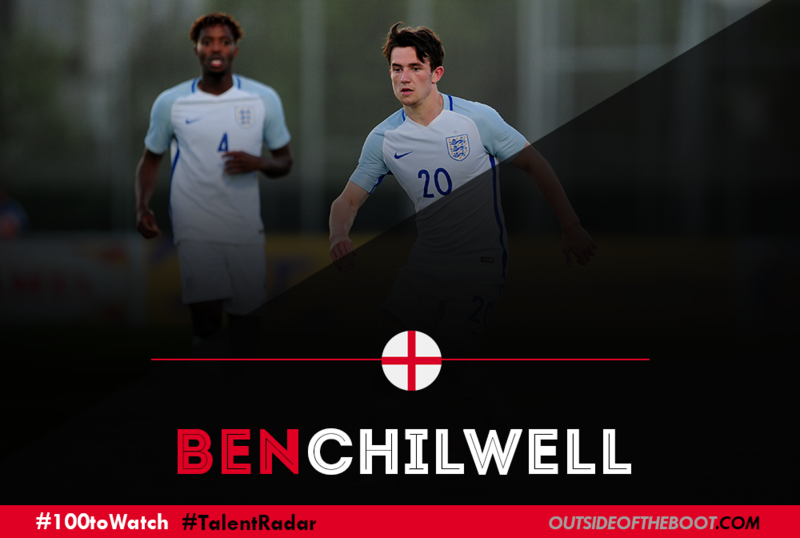 Chilwell has also played for England at the U18, U19, U20 and U21 level. Analysis: As a modern day left-back, he does possess the wing-back characteristics that include the propensity to move forward and link the game with the winger on that flank. However, he ensures that he doesn’t put himself in an awkward position where he is at a defensive disadvantage, like many other teenagers or even more mature full-backs do. His technique and ability to make a clean tackle make him a great team defender and one of the better young fullbacks around. Chilwell also possesses electric pace which he uses brilliantly running up and down the flank. His deliveries into the box, especially the crosses with the left foot are dangerous and ensure he provides the offensive threat that is required from a full-back. One concern may be that he is hesitant to use his right foot, but that is something that can be worked on. Looking ahead: Throughout his young career, Chilwell has managed to garner high praise from journalists, coaching staff, fans and even current Chelsea captain John Terry. Leicester ensured they kept their highly rated players in their squad, including Chilwell, with the youngster signing a new contract. Claudio Ranieri now needs to make sure he uses the talent of the youngster or sends him out on loan to ensure his development continues. There is little doubt that the more he plays, the better he will get. Given the way he has started, should he continue in the same manner, work hard and demonstrate the willingness to learn, his stock will continue to rise. Blurb: Andreas Christensen has had “hot prospect” status since his mid-teens, having attracted interest as a youth player at Brondby. 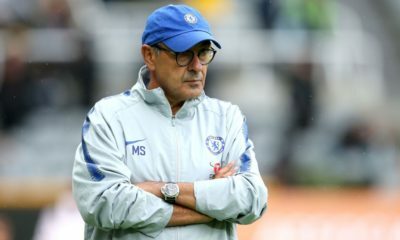 After title-winning success in Chelsea’s youth set-up, he has come on in leaps and bounds since joining Borussia Mönchengladbach on loan in the summer of 2014. Eighteen months into a two-year loan spell, the Denmark international has established himself as one of world football’s most promising centre backs. 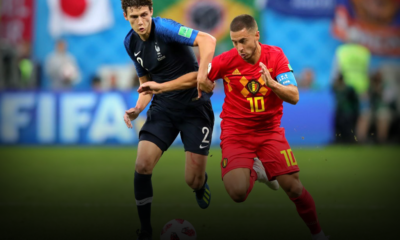 Analysis: Standing at 6 feet 2 inches, Andreas Christensen is far from short, yet he would not stand out from his peers for his size and height. The attribute that marks Christensen out is the composure with which he reads and plays the game, as well as his footballing intelligence and ability to play the ball out from the back. In an era with greater emphasis placed on ball-playing centre backs than ever before, the young Dane has impressed in a dynamic Gladbach side – an exciting team with a great blend of pace, creativity and defensive discipline. 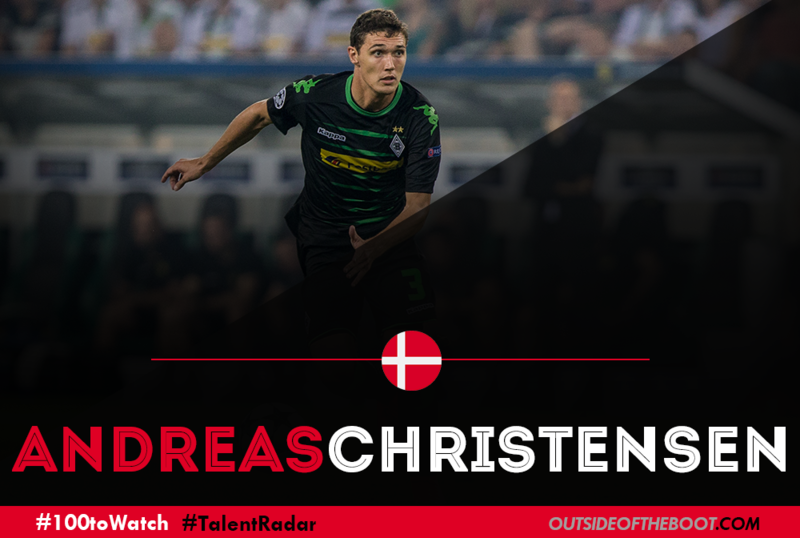 Defensively, Christensen ticks all the boxes ― perceptive with interceptions and strong in the tackle. However, the youngster is not as dominant in the air as one would like. Christensen has shown to possess the ability to stay focused – something rare in most young players. To use the old adage, he plays like he has “an old head on young shoulders”. His maturity and high levels of concentration mean he is rarely caught out by opposition attackers. Allied to his technical ability on the ball, it is no surprise that he has occasionally featured for Gladbach in holding midfield. One key aspect to Christensen’s young professional career is his performances in big games – playing against some of Europe’s giants in the UEFA Champions League, as well as the likes of Bayern Munich in the Bundesliga. The young Dane was particularly impressive in a 3-1 win over Pep Guardiola’s domineering Bayern in December 2015. This is one player that steps up on big occasions. Looking Ahead: For the past decade, success stories have been expected of Chelsea’s youth system after their recent successes at youth level ― FA Youth Cup champions in five of the last seven editions, as well as UEFA Youth League champions in 2014/15 and 2015/16. In the near future, we should soon see the first successful graduate of Chelsea’s successful youth sides playing in blue week in and week out at Stamford Bridge. Gladbach’s 2014/15 Player of the Year, Christensen has everything to step into a post-John Terry defence at Chelsea and prove to be a more than able replacement. After his loan success in Germany, he is ready. He has done so well that Gladbach would be more than willing to pay a large fee to sign him on a permanent deal. Upon his return to Chelsea in the summer of 2017, the world will be at Andreas Christensen’s feet ― he just needs to be given a chance by Antonio Conte. 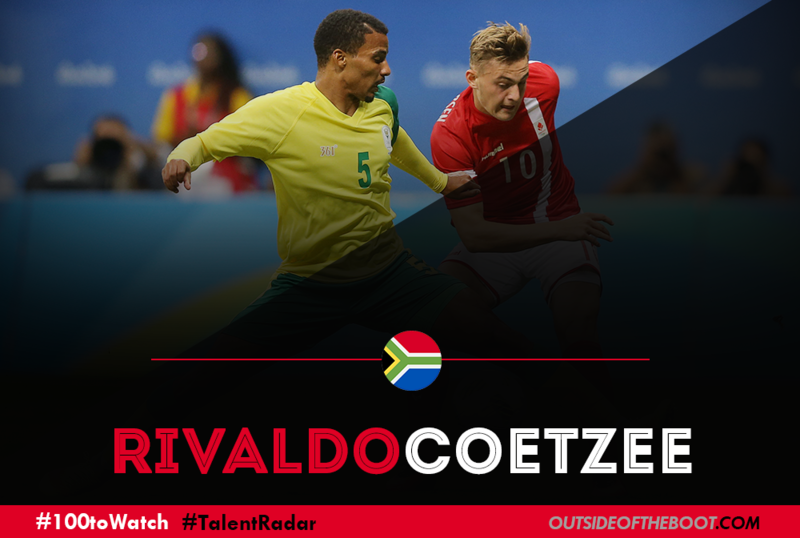 Blurb: Rivaldo Coetzee, named after the Brazil and Barcelona star, is a 20-year-old South African centre-back currently playing in his nation’s first division for Ajax Cape Town, partner club of Ajax Amsterdam. Already an established starter for both club and country, Coetzee made his international debut aged just seventeen which made him the youngest player to ever represent South Africa at senior level. Analysis: Since breaking onto the scene for his club in the 2013/14 season, Coetzee has proven himself as a confident, hard-working defender not afraid to put his body on the line for his team. He is calm on the ball, and can be employed in a direct system as his vision and long balls forward from defence can prove threatening for opponents. One of the key aspects to his game is his pace, showing that he could also fill in at full-back if needed. Despite standing at 5 feet and 10 inches therefore not being the tallest of centre-backs, Coetzee is confident in aerial duels with his lean frame. His understanding of the game and intelligence is already very mature and he often reads forwards well in order to cut out attacking moves. 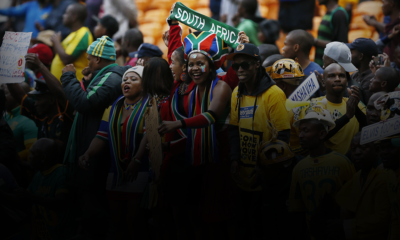 He has shown a talent for man-marking as well, with his international management team using the threat of Coetzee’s pace and tough-tackling approach to combat forwards such as Neymar and Sadio Mane in games for the Bafana Bafana. Looking Ahead: Coetzee has been tipped for a move away from Ajax Cape Town for some time now, and with his contract due to run out in June of next year, the player himself has several times expressed his desire for a move abroad. After his manager revealed interest from several European clubs, Rivaldo told KickOff.com: “It’s everyone’s dream to move to Europe, but I’m in no rush because I believe when the time is right, the chance will come”. In terms of progressing his game, Coetzee must work on his short passing accuracy and also his strength to push attackers off the ball. Captain of his current club Travis Graham says Coetzee “just needs to remain humble, focused and keep his feet on the ground”. Meanwhile, it is looking increasingly likely those feet will soon be on foreign ground as Rivaldo Coetzee looks to establish himself as one of the world’s most promising centre-backs on a grander stage. 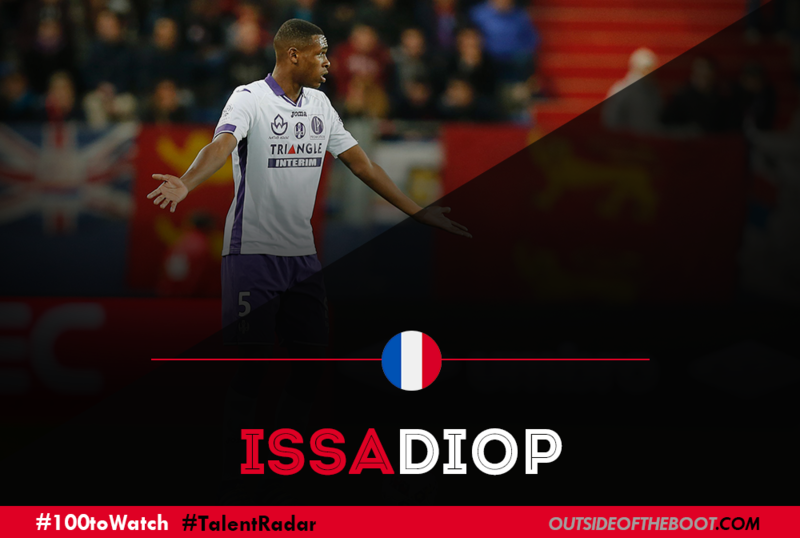 Blurb: Born and raised in Toulouse, 19 year-old Issa Diop is one of a handful of exceptionally young center backs who have been taking Ligue 1 by storm of late. Barely a year removed from his first-team debut, the 6 feet 4 inches academy product was one of last season’s standout players. 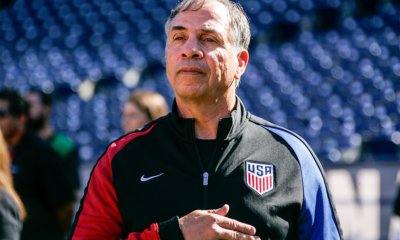 He burnished a deserved reputation with a stellar U19 European Championship before helping Toulouse mount an early charge for the European places, including a decisive victory over holders Paris Saint-Germain. The team’s performances have cooled in recent weeks, but the youngster is still one to watch for the Garonne club. Analysis: Diop’s height and physicality are obviously his standout attributes, and they make him a ferocious defender, especially playing alongside the similarly powerful Christopher Jullien. It should be offered as a caveat, though, that while Diop was able to physically dominate players within his own age groups, he has had less success in that regard in Ligue 1. His love for a tackle has seen him become no stranger to the referee’s notebook, having been booked four times in eleven appearances this season. 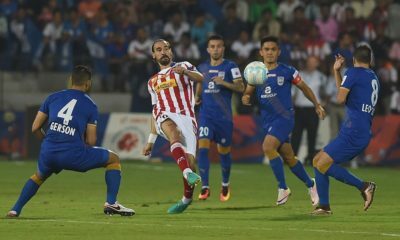 Discipline had likewise been an issue in his first season, as he was booked six times, to go with two red cards, across all competitions. In this regard, then, Diop is an old-fashioned center back, aggressive and determined to get the ball off an opponent no matter the cost. 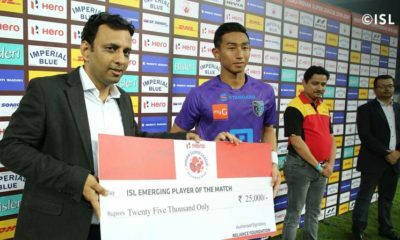 While such confidence is to be lauded at such a young age, it also comes with the caveat that such recklessness can also come at a price to a team’s results. Thus, while the raw materials are certainly there, Diop is undoubtedly a player who could use a bit more culture in his play; his passing can be similarly lacking, an issue which has been somewhat masked by Toulouse’s system, a 4-2-3-1 that relies more heavily on the central midfielders to link play from the defense. Looking Ahead: It is no coincidence that Diop’s recent absence from the side has seen Toulouse slide down the table; he has already shown himself to be massively important for his team. He also recently became a regular for the U21s, and will seek to continue to make a name for himself as France seek to qualify for 2019’s European Championships. Improvements in his discipline, aerial performance and passing would go a long way towards making him an accomplished young center back as opposed to the relatively raw player currently on show. If he can apply the same determination to making a tackle as he can to making himself a well-rounded player, he could soon be battling the likes of Raphael Varane and Samuel Umtiti for a place with the senior side. For now, though, keeping himself in check vis-a-vis his physicality and continuing Toulouse’s push for European football are more realistic goals. If Diop can accomplish these, he can push expectations to an even higher level, becoming one of the world’s best young center backs. 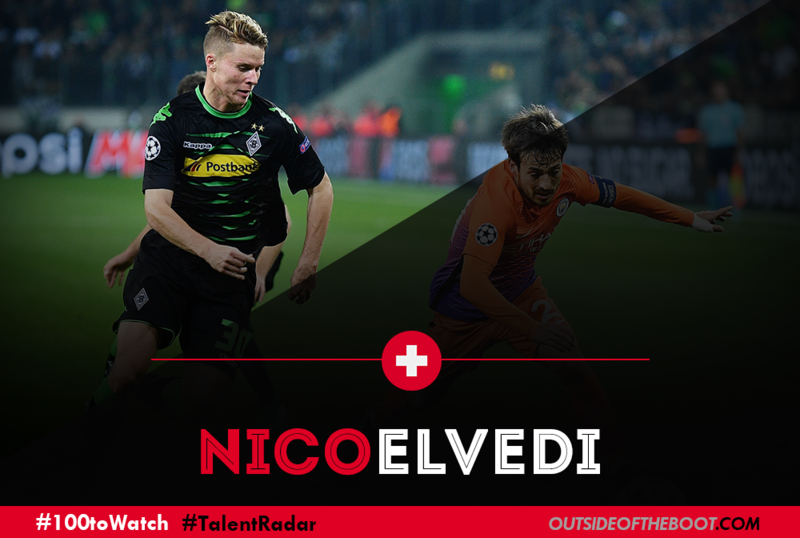 Blurb: Nico Elvedi is enjoying his second season in the Bundesliga after transferring to Borussia Mönchengladbach from FC Zurich at the start of 2015/16 season, having made his senior debut for them at the age of just 17. A versatile centre back who can also play right back or in midfield, he has soared through the Swiss youth teams recently. 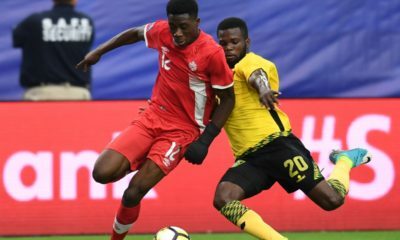 He played just one game for the Switzerland U21 team before being promoted and has played three games for the senior team at the time of publication. 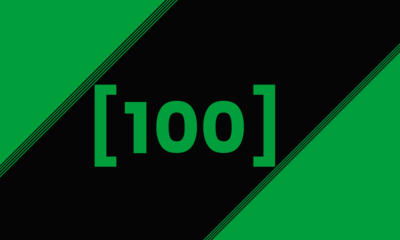 Analysis: Elvedi is a versatile, technically proficient defender who has played at both centre back and right back in a back four, as well as the rightmost centre back in a back three. He has a strong right foot, which enables him to help Mönchengladbach in their build up play, particularly playing forwards. He always look for a pass forwards, and only if it’s not on does he play backwards or sideways; a relief to watch given how many teams in world football play the ball endlessly around the back four. However, this eagerness to play the ball all the time has its downfalls, with him making several errors leading directly to goals in his seasons of senior football. 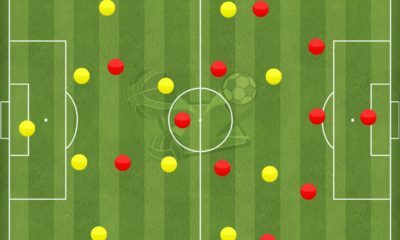 The most recent example came against Borussia Dortmund, where a long ball came towards him and he chose to attempt to bring the ball down on his chest rather than head it clear. He fumbled with it under his feet before Reus stole the ball and played Dembele in for Dortmund’s third goal. This is somewhat expected from a young defender in the modern game and with experience he will no doubt judge these sort of situations better. One area in which he seems to be ahead of his age is his positioning. For a man who is only twenty, both his body position and position on the pitch are excellent. There are, of course, occasional cases of bad positioning, but far fewer than would be expected of someone his age. Looking Ahead: The key aspect for Elvedi to focus on in the coming year is his decision making, and making one position his own. 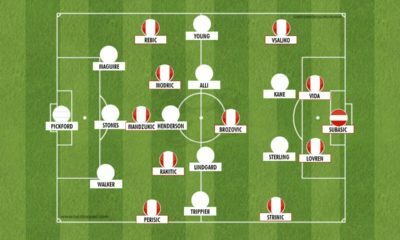 These two are intertwined; with better decision making could come a role at the heart of the defence rather than the outside, and a regular position will allow his to adapt to that role more comfortably. Overall he is a very proficient player for his age, with the technical ability on the ball and defensive skills giving him the potential to become an excellent player. With a high demand for quality centre backs and big clubs on the lookout for young talent, don’t be surprised if Nico Elvedi becomes a football household name in the next year or two. Blurb: It’s safe to say that 2016 has been a great year for Alex Gersbach. 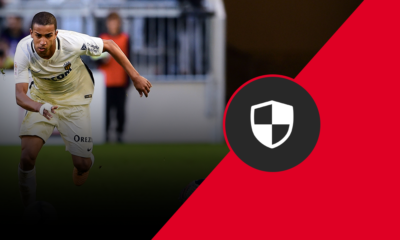 Despite being just 19 years of age, the talented Australian left-back already has a Tippeliga title and Norwegian Cup to his name, whilst impressive domestic performances for Rosenborg this season resulted in him receiving his first two senior caps for his country. Strong, fast and increasingly comfortable with the ball at his feet, it’s no wonder so many people are starting to take notice of a very special talent. 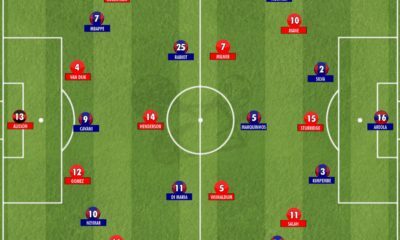 Analysis: Moving from sunny Sydney to the not quite so sunny Trondheim would be tough for anyone, let alone a fresh-faced teenager, but swapping the Sky Blues for Rosenborg seems to have done Gersbach the world of good. The youngster made his first competitive appearance for Sydney FC way back in October 2014 and immediately made an impact with his impressive defensive capabilities. 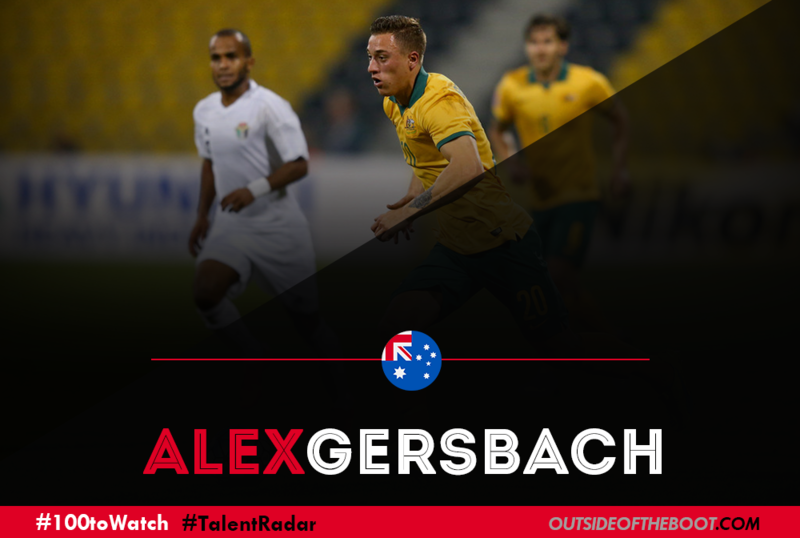 Despite not looking like the most imposing of defenders, Gersbach is surprisingly strong, and he often proves to be difficult to pass when wingers try to take him on. He boasts impressive positioning skills and a good reading of the game, resulting in him rarely being caught out. At Sydney, one of his main weaknesses was his attacking capabilities, but playing at a team as dominant as Rosenborg has helped in that respect. His new club comfortably won the league title this season with twenty-one victories from thirty games, allowing him to spend more time in the opposition’s half of the pitch than was possible back in Australia. As a result, he’s improved his attacking runs, decision-making and, in particular, crossing ability, all of which require further work but have come on in leaps and bounds since he moved to Norway. Looking Ahead: As a player at the best team in Norway, he currently has the chance to hone his skills at a club that have the resources available to help him progress further. Being at a side that are constantly on the front foot will also be a big help, allowing him to improve his attacking skills by spending plenty of time on the ball. Some sort of European football will be on the cards for the youngster next season, giving him further opportunities to blossom into the fully-formed talent that many believe he will soon become.